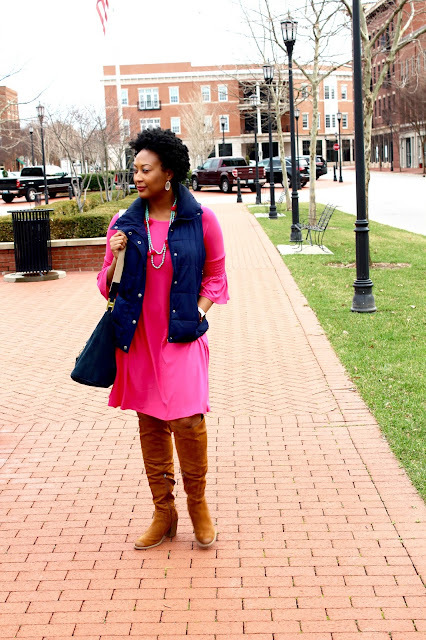 When you know your color, you know your color! 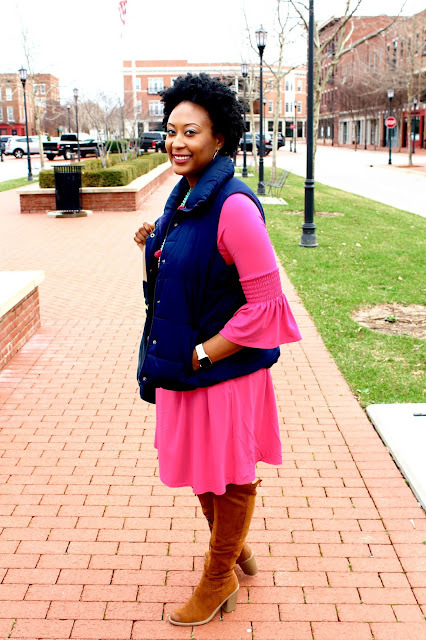 I have always been a lover of hot pink and thought that it looked great on my skin tone, so that is why I had to embrace this super comfy and causal dress by Agnes & Dora. 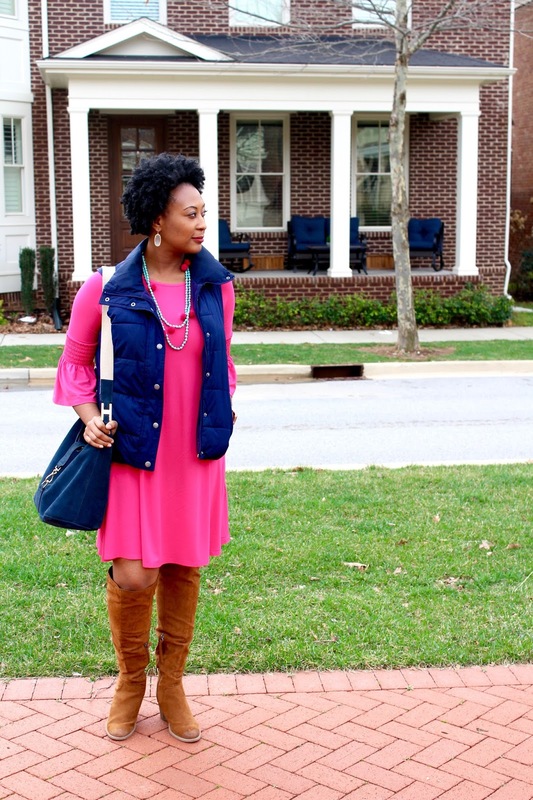 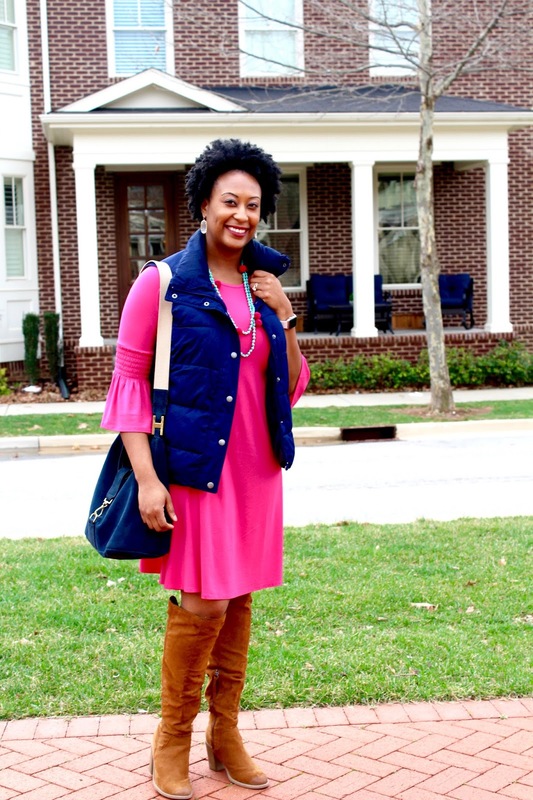 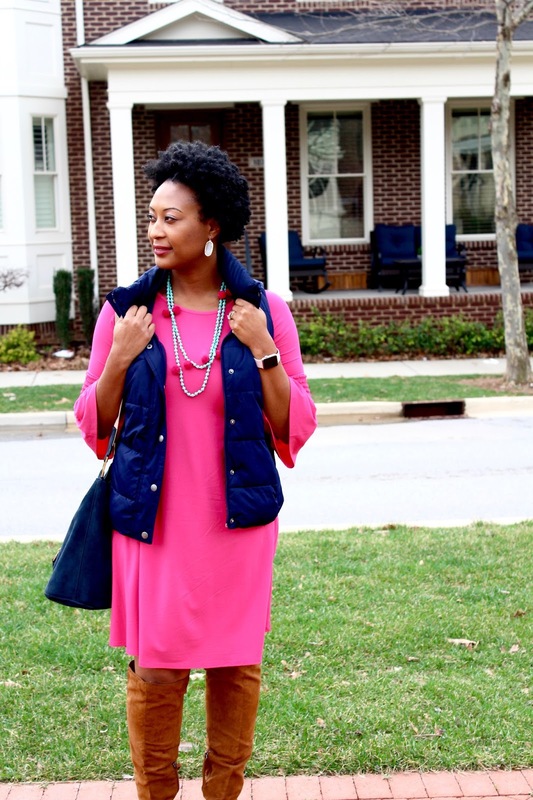 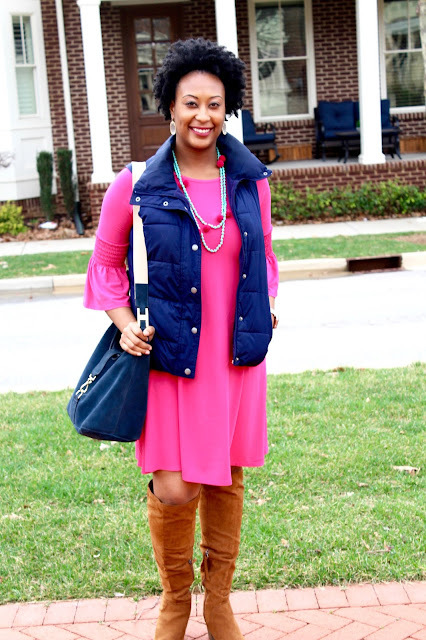 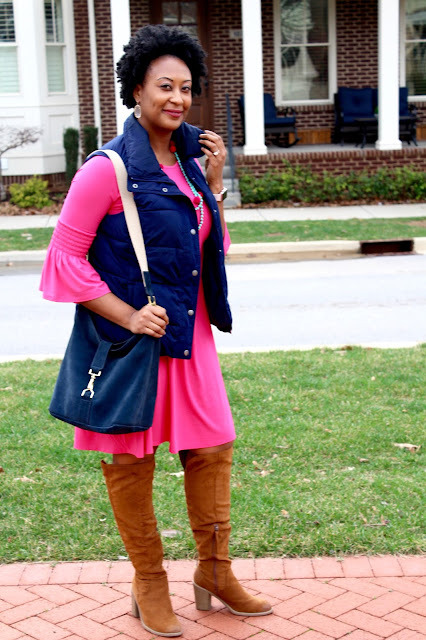 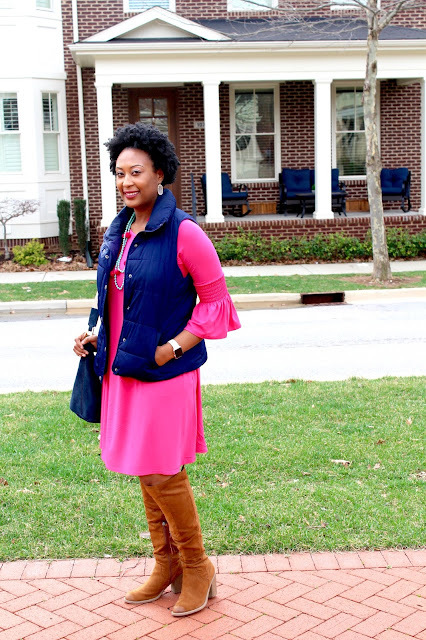 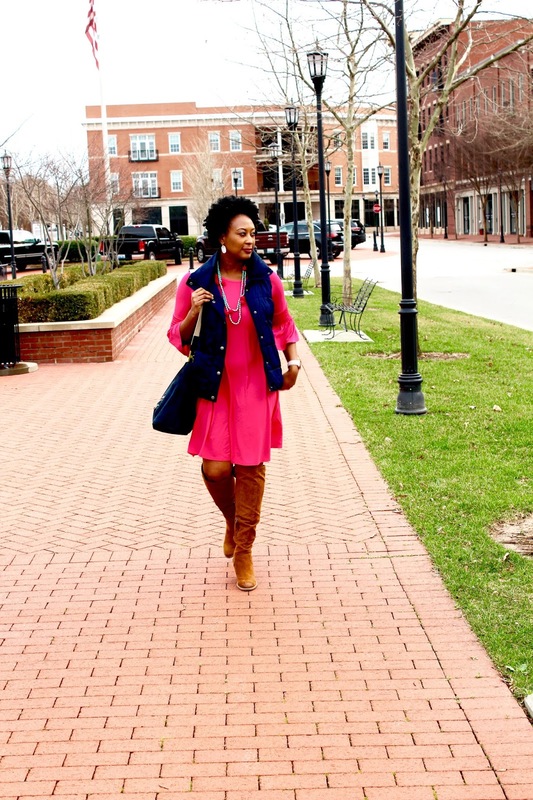 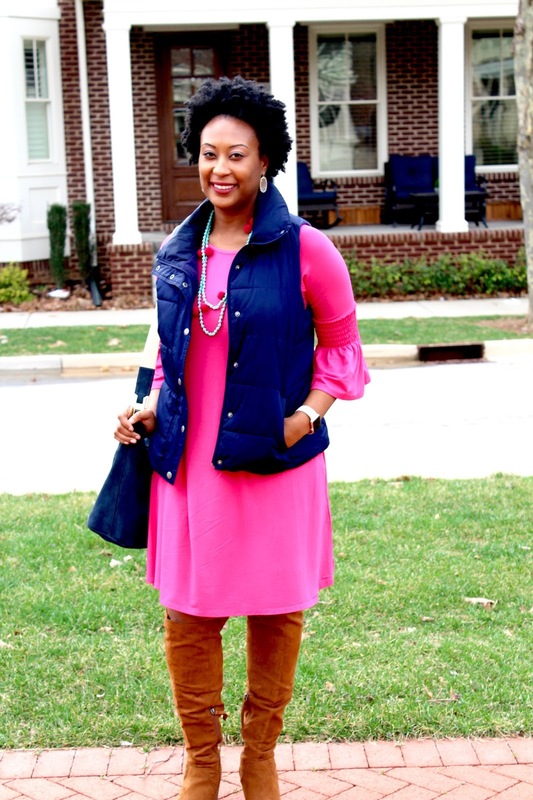 Pairing it with this navy vest made the bright pink color pop and these two colors together compliment each so well. During transition seasons and weather being unpredictable, over the knee boots are a must; which go great with this outfit. 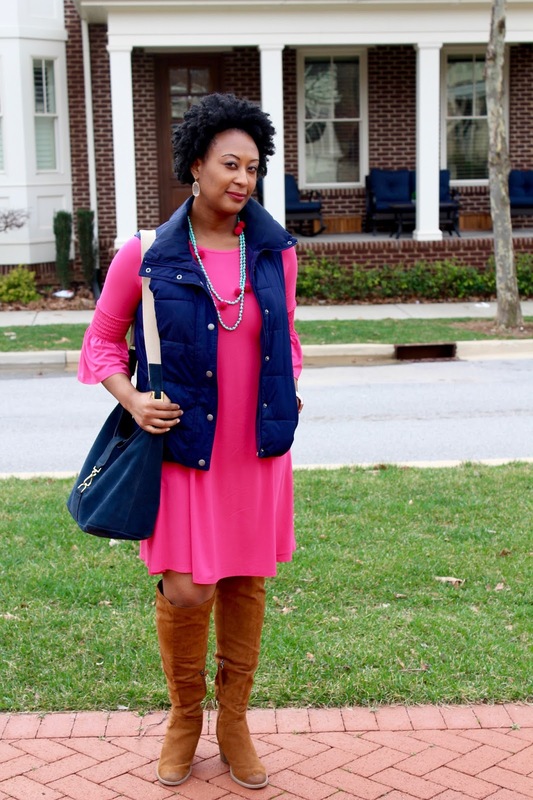 I always finish my outfits with some accessories: a pom pom necklace and a suede cross body pull it all together.